From time to time I update certain posts to reflect recent research discoveries or to bring an interesting post back from obscurity. 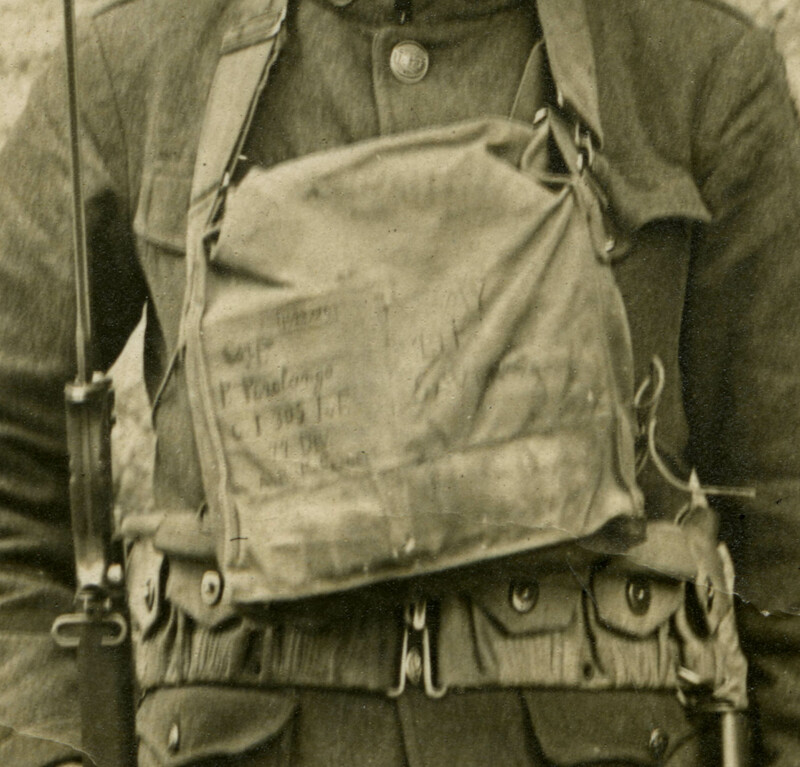 In this case, the family member of a WWI veteran discussed in my post was able to discover my site and find a “photo” (please see below) of her grandfather. 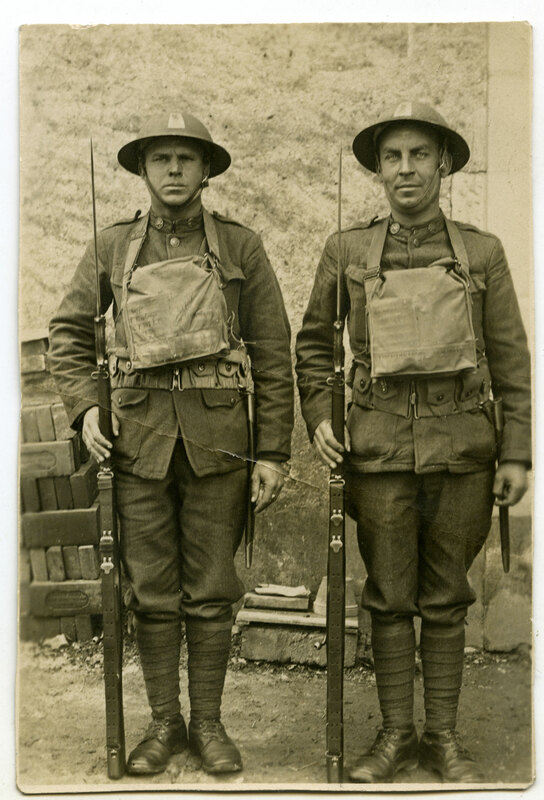 Back in 2013 I posted a well-researched photo of a pair of doughboys wearing gasmasks and helmets posed overseas in 1918. After extensive research on the gasmask of the soldier, I was able to track down a bit of info on him. That’s what I thought! This is an example of one of those rare occasions of an identification made without a 100% cross referenced identification photo. It turns out that the soldier was merely borrowing the gasmask of Peter Pizzolongo. I assumed that the wearer was indeed Pizzolongo; but his great niece found the photo, passed it around the family email chain and determined that it didn’t actually depict Peter. She graciously sent me a wartime shot of Peter in his gasmask, helmet and uniforn; the photo is was likely taken at the same time as the original image, but was redone in a larger format with a blurred backdrop. The reversed collar insignia, gasmask strap and shoulder patch point towards a reverse-image process to reproduce a larger format photo. 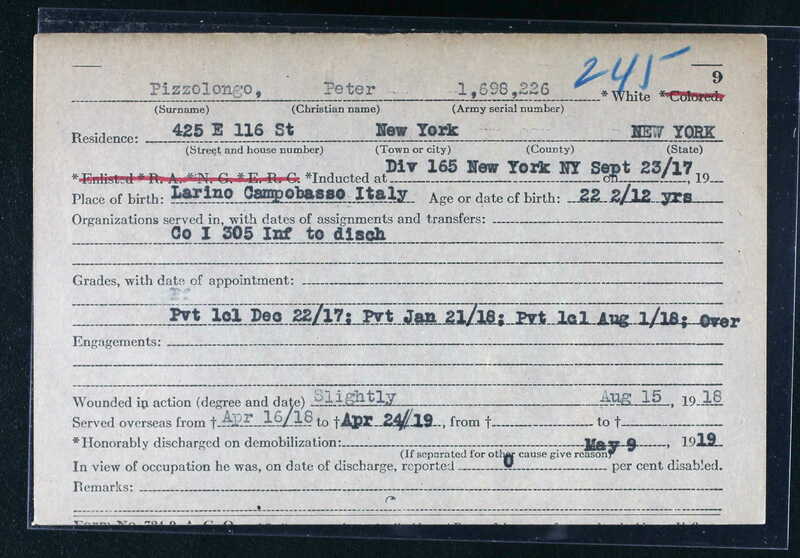 Peter was born in 1896 in Larino Campobasso, Italy and came over to the US in the early 1900s. 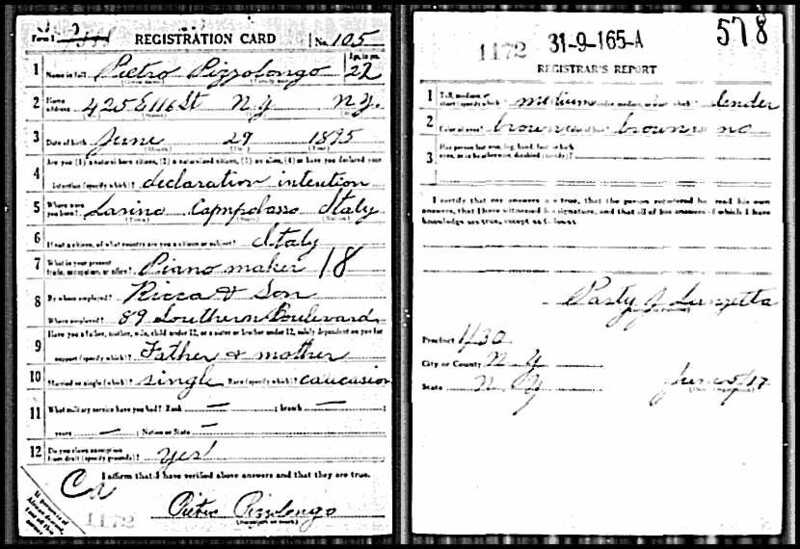 What’s funny is that I can’t find his immigration records online but did find that he traveled back from Italy in 1955 on board the S.S. Independence along with his wife, Ida. We know from his records that he was out of commission for 8 days before returning to his unit on August 23rd. 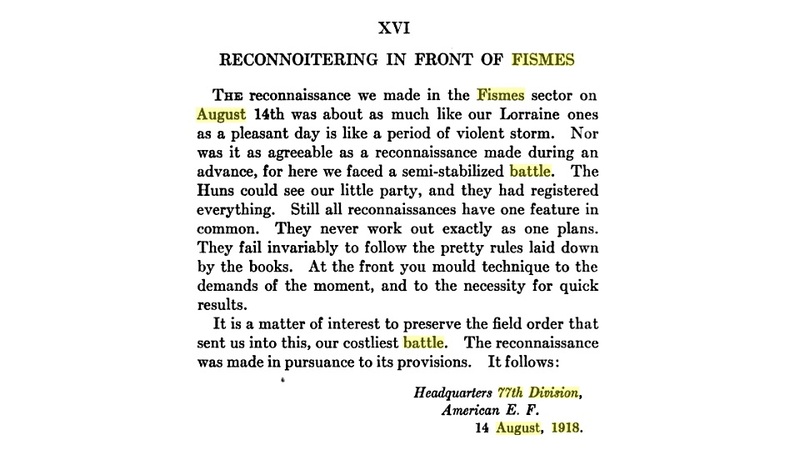 He became sick (unknown reason, likely gas related) on September 5th, 1918. He rejoined the unit on the 16th after being in the hospital for 11 days. What a trooper! I’ve attached a few of the web-based documents I’ve found through my search. 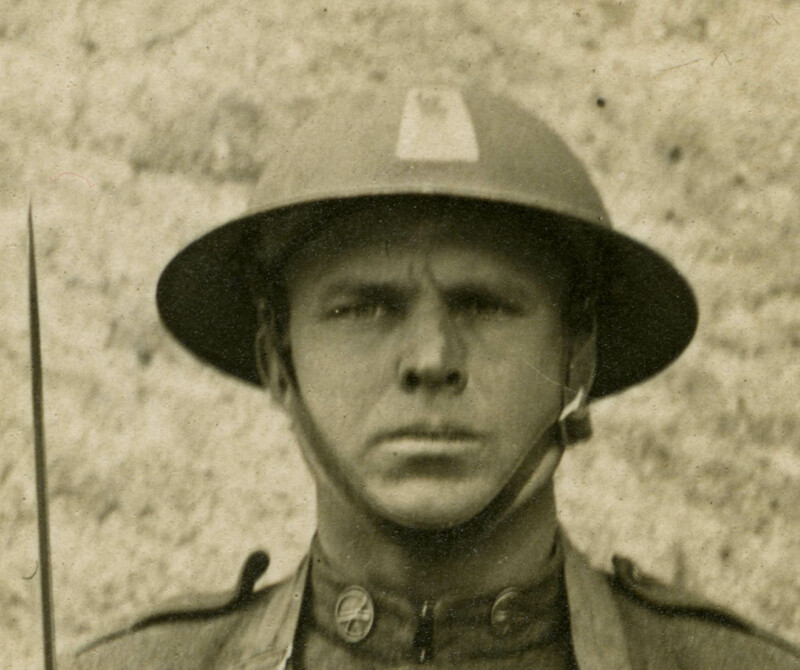 Hopefully his family will one day find this site and learn a little more about their WWI relative! I came across your blog by chance. Interesting about Pizzolongo. 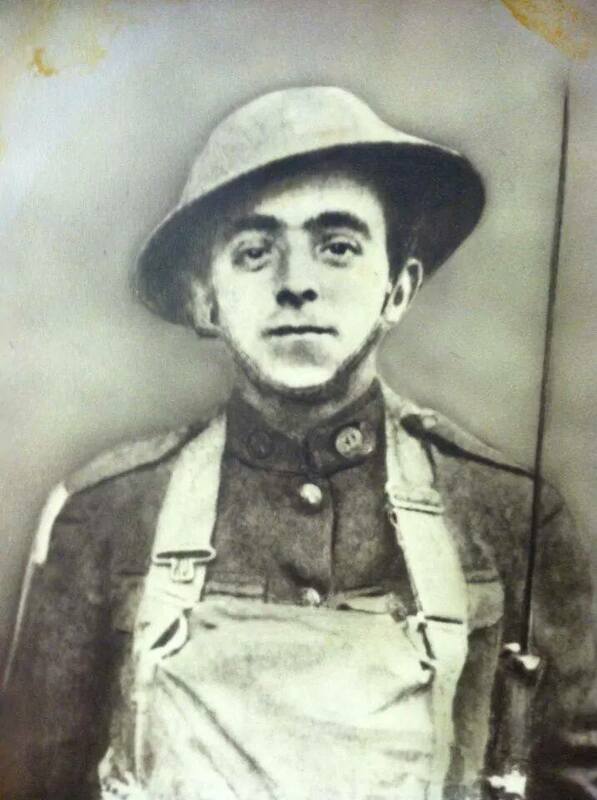 My great-uncle, Terzo Cenci was also in the 305th of the 77th Division. He was also mustard gassed on the same day as Pizzolongo. Do you have a photo of him?